In masonry projects, cement and mortar are common yet sometimes crucial materials. Portland Stone Ware distributes Lehigh’s Iron Clad products, Dragon’s products, and Conproco ProMasonry’s products. While they all bind stone, brick, and other building materials together, cement and mortar have a key difference. Cement is often confused with concrete. Cement is a finely ground, usually grey colored mineral powder. When bag contents are mixed with water, cement acts as a glue to bind together the sand, gravel and crushed stone to form concrete, one of the most durable and widely used construction materials in the world. Mortar acts in similar ways as cement without gravel and crushed stone. Adding the aggregates (ex. sand, gravel, and crushed stone) to cement will make cement stronger for structural projects while mortar mixed properly will be thicker making it a better bonding element. In creating a batch of mortar, usually contents of a bag is added to a mixture of sand and water, and a binder can be added for extra strength. Type I Portland Cement (light gray) is suitable for general concrete construction, cool weather construction, applications requiring increased early strength, masonry units, masonry mortars and where the special properties of other types are not required. Type II Portland Cement (dark gray) is suitable for general concrete construction, masonry mortars, warm weather construction and special applications where lower heat of hydration or increase sulfate resistance are required. For further information on Portland Cement, please click here. Type N is used for interior walls and exterior walls above grade and Type S is recommended for exterior walls at, or below, grade. Dragon Dark is a Type N mortar and is used where a charcoal gray color is preferred. For further information on Masonry Cement, please click here. 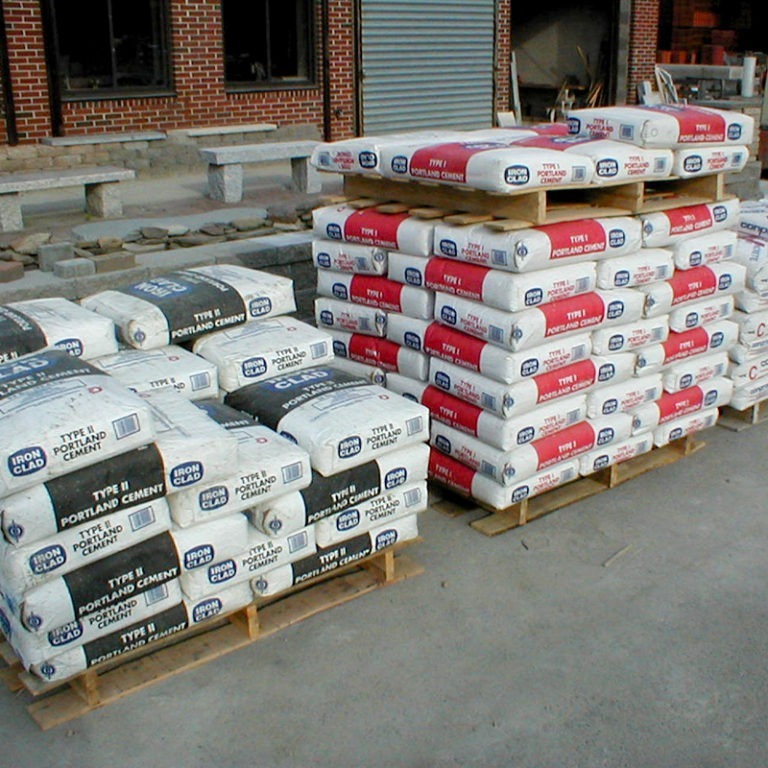 Due to popularity in the masonry industry, we offer a second line of cement and mortar known as Conproco’s ProMasonry products. For further information on these products, please click here.